Freediving is diving, swimming or staying submerged underwater on a single breath of air. It can be enjoyed as a recreational activity or as a competitive sport. Pure Apnea is an international freediving organization that prides itself in being the world leader in freediving education and instructor standards. We aim to inspire, educate and support newcomers to freediving, experienced freedivers, instructors and competitive athletes alike. Our cutting edge education system is based on the latest scientific research and freediving techniques. We create. We progress. Others follow. Our education system is designed to equip the average man and woman on the street with the knowledge and skills to leave the world of air behind and safely explore the breath-taking world below the waves. For those with a competitive spirit and a drive to be the best at what they love, Pure Apnea provides the infrastructure to organize, run and compete in sanctioned freediving competitions throughout the world. We strive to make competitions accessible and affordable to all those who are passionate about the sport of freediving. Pure Apnea recognizes the efforts of the individuals and organizations that have helped develop freediving into a safe recreational and sporting activity. 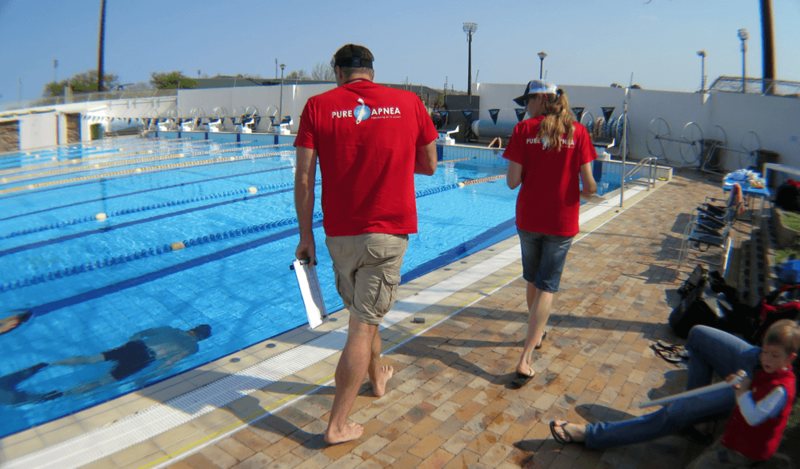 As such, we are the only organisation in the world that recognizes the national and world freediving records of other freediving organizations provided that the disciplines are similar and that the same level of anti-doping control is in place. When we claim a world record, it truly is a WORLD RECORD!